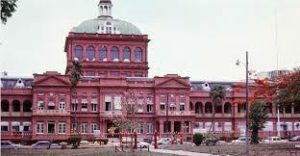 Cintec North America has undertaken vital restoration work on The Red House, also known as the seat of Parliament for the Republic of Trinidad and Tobago. The landmark $1m project marks a monumental moment in the history of structural engineering as one of the Reinforcement anchors inserted into the structure is believed to be the longest in the world, measuring 36.52 meters [ 120 Ft ] in the length. It was also the first time that Cintec had used 3D printing for sacrificial parts.